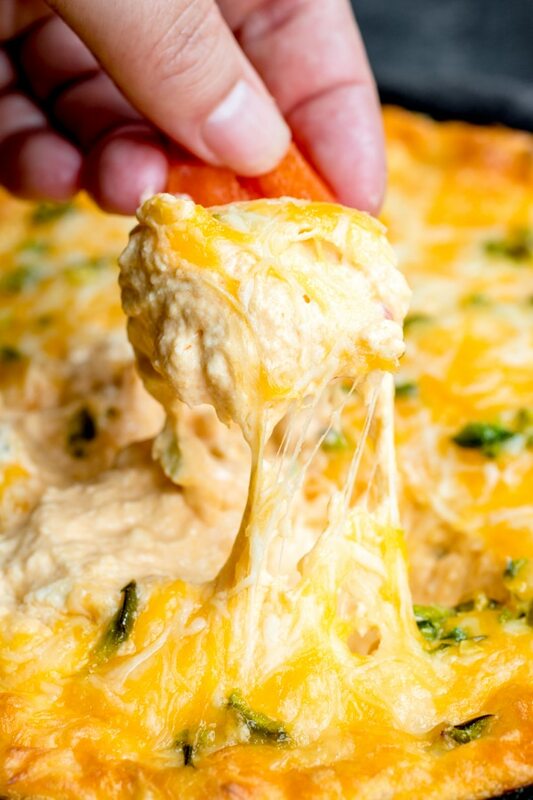 Buffalo Chicken Jalapeno Popper Dip - Home. Made. Interest. 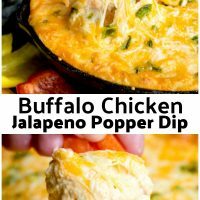 Buffalo Chicken Jalapeno Popper Dip is a hot dip recipe that is low carb. 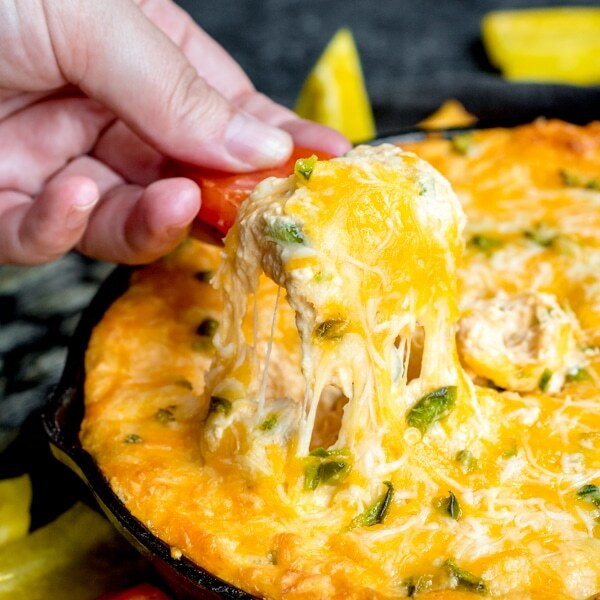 Creamy cheese, spicy chicken, and jalapeno peppers make this perfect for parties! Guys, this hot dip is what dreams are made of. Seriously, this Buffalo Chicken Jalapeno Popper Dip is creamy, cheesy, and perfectly spicy, I could eat it with a spoon! 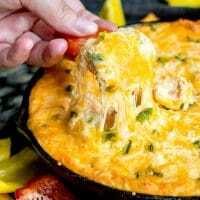 Whether you’re hosting a game day party and you’re looking for an awesome football party food idea, or you’re just having some friends over on a Saturday night, this jalapeno popper dip is for you. 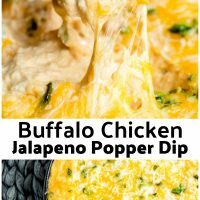 One of the things I love most about this dip, besides all of the cheese, buffalo chicken, and jalapenos….is that is it low carb. 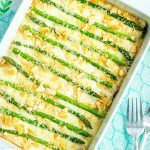 I know so many people eating low carb these days and this is one appetizer I can make for a party that I know everyone will be able to enjoy. These Buffalo Chicken Jalapeno Poppers, and Big Mac Bites are two other game day recipes that everyone will love whether they are eating low carb or not! Save some time and make your shredded chicken 2-3 days before the party. You can use our recipe for Crock Pot Shredded Chicken, and then thrown the chicken in the bowl of your stand mixer with the paddle or bread hook attachment on it, and mix for 2-3 minutes to shred the chicken perfectly. If you want to skip cooking chicken you can use Rotisserie chicken instead! 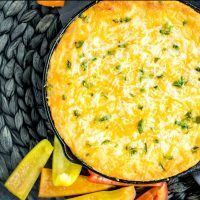 This jalapeno popper dip can be served with tortilla chips or bread, but if you want to keep it low carb serve it with sliced bell peppers, cucumbers, or celery. 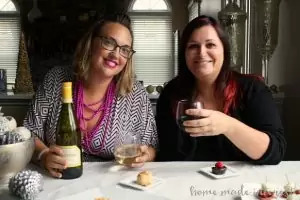 You can assemble all of the ingredients for this 1-2 days before the party. 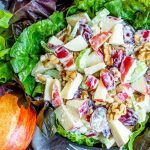 Once you have all of the ingredients combined, instead of adding it to the skillet put it in an airtight container and store it in the refrigerator. On party day add the mixture to the skillet, minus the cheese on top, and cover with foil. Bake for 25 minutes, then remove foil, add cheese on top, and continue to bake, uncovered for 10 minutes. 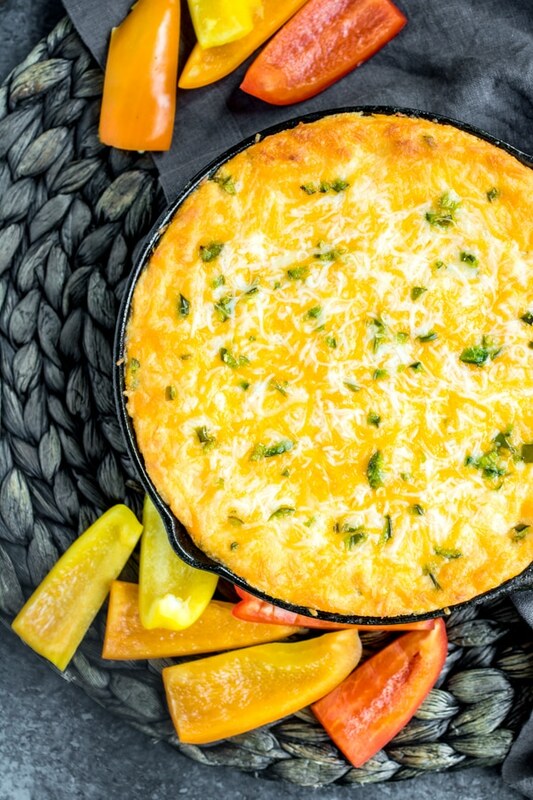 8-inch Cast Iron Skillet – This little skillet is perfect for all types of hot dips and indulgent desserts like our Salted Caramel Chocolate Skillet Cookie or Peanut Butter Cup Cookie Skillet. 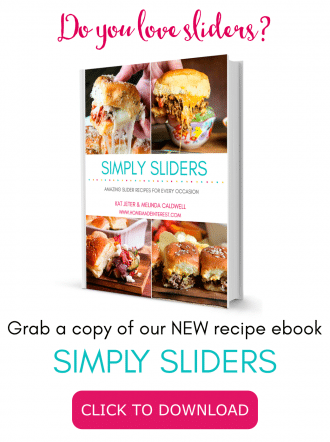 Want more hot dip recipes? In a large bowl combine shredded chicken, cream cheese, hot sauce, 1 cup of cheddar cheese, 1 cup of mozzarella cheese, ranch dressing, mayonnaise, sour cream, and jalapenos. Stir to combine. 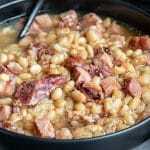 Place mixture in a 8 inch skillet or an 8x8 inch casserole dish. 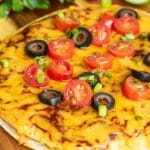 Sprinkle with remaining cheddar and mozzarella cheese. Bake for 20-25 minutes, or until the dip is warmed all the way through and the cheese is melted.